Enter for a chance to win a vinyl copy of the debut LP from 26-year-old Bristol-born multi-instrumentalist, electronic artist Barnaby Carter out October 28 via Project Mooncircle. Although on the scene for only a short while, Barnaby garnered immediate support from the likes of BBC Introducing, BBC Music 6 and has already played with the likes of Lapalux and Romare and performed at Fete de la Musique in Geneva. 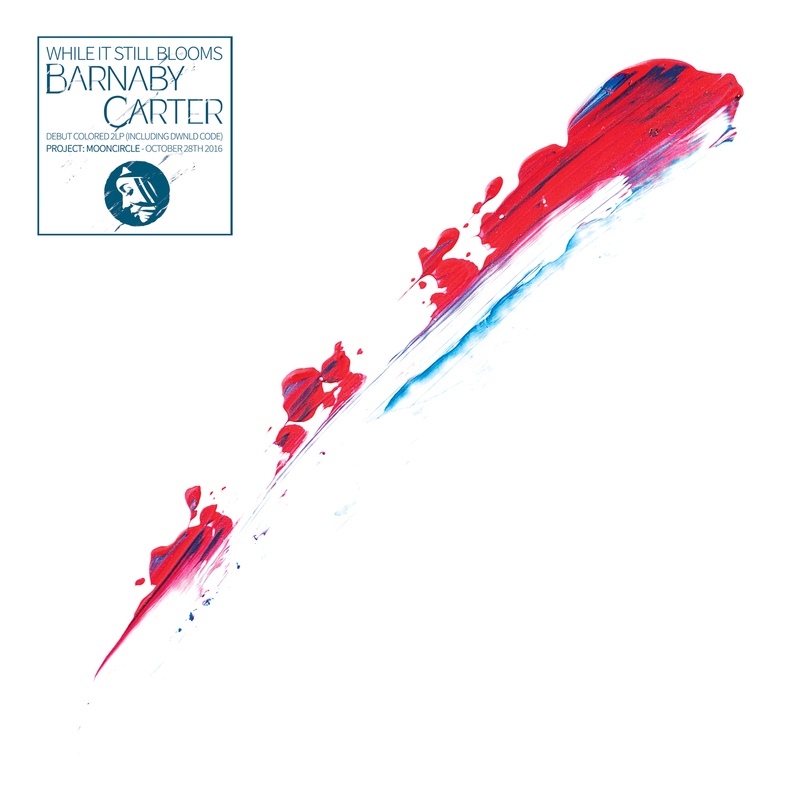 “While It Still Blooms” is a stunning introduction to Barnaby Carter’s world of lush ambient soundscapes. The album presents a symphony of emotive and propulsive intimate beats that invite you to unwind whilst tempting you to dance. The positive melancholy of “While It Still Blooms” is his testament to acceptance, creativity and simplicity. Growing up in Portishead, a neighbouring town to Bristol, he mainly listened to ‘post rock’ and guitar led music such as Mogwai and Radiohead. Discovering electronic music as a teenager and like many others that got into IDM heavyweights such as Aphex Twin and Boards of Canada, Barnaby cites Future Sound of London’s album ‘Accelerator’ as one of his key inspirations. Drawing further influence from artists such as Jon Hopkins and labels Warp and Ninja Tune, the project largely eschews abrasive hard-hitting beats and frequencies, blending live organic instrumentation with ethereal electronic soundscapes to create ambient, downtempo excursions. At the age of 18, Barnaby went on to experimenting further with percussive and harmonic sounds whilst teaching as a piano technician for five years. “It is a fundamental part of life that in order for something new to emerge, something old has to pass and give up its space and resources. This circulation between life and death is the source of everything beautiful. It is omnipresent in the whole of nature and all cycles of reproduction we know. Life is finite yet cyclical. It’s beautiful. I am inspired by nature, and of the growth within it, albeit temporary. But for me, as I said before, the finiteness of life is part of its beauty. So enjoy the moment.” – Barnaby Carter.